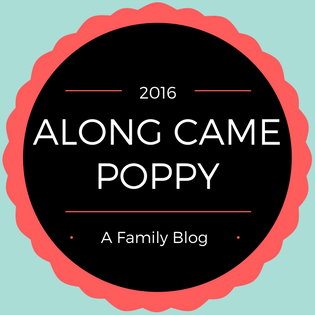 Along Came Poppy: A 3 MONTH BLOGGERVERSARY? When I started blogging in June to keep track of our family reading challenge, I had no idea what I was about to embark on. Three months later and, although I remain very much a novice blogger, I wanted to mark Along Came Poppy's bloggerversary by reflecting upon my experiences so far. Blogging is incredibly time consuming. I quickly discovered that writing content is only the tip of the iceberg when it comes to blogging. I spend a lot (probably too much) time on social media. I also join in with linky parties to share my posts with other bloggers and read other blogs for inspiration. I confess I don't have much spare time with two little ones at home all the time so it is a good job I am a night owl! As well as reviewing a vast number of children's books and sharing our recommendations on the blog, I also decided to share a little about our family life. I have particularly enjoyed raising awareness of Ectodermal Dysplasia, Jeans for Genes Day and National Eczema Week. I have been amazed by the number of visitors we have had to the blog and I have been completely overwhelmed by the positive feedback we have received. I am thrilled each time someone tells me they have enjoyed a book we have recommended and I love reading your comments! Pre-blogging I was already fairly active on Twitter and Instagram. I continue to post our daily book choice photos to Instagram. We now have over 880 followers on IG and 1,640 on Twitter. 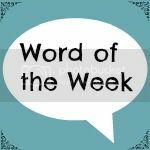 I aim to continue to post at least one bookish post a week and a Word of the Week post, which may relate to family life, parenting, days out or blogging (a bit of everything). I will continue to do product reviews as and when the opportunities arise. I intend to go self hosted but I am currently slightly terrified by this prospect. I wish I had chosen to be self hosted from the start - why didn't I listen to all the experienced bloggers out there?! I would like to build relationships with authors, illustrators and publishers, and perhaps, join in with a Book Blog Tour at some stage (if we are very lucky). We do have a few other product reviews in the pipeline and I hope to do a bit of vlogging with the Mini Reviewers as they enjoy making little videos! Most importantly I hope that we continue to enjoy our #366booksin366days reading challenge and everything the blog brings. Here's to the next three months! Thank you for reading and for your continuing support. Word of the Week: Bloggerversary!